Smartphones continue to be the highest-sold item, followed by fashion and large appliances. Around USD 170 million of large appliances and USD 120 million of fashion items have been sold till now. As the festive season dawns, so does the online sales. Like every year, this year too, e-commerce giants are going head-to-head during the festive season. According to independent analyst, Redseer, the ongoing sales have already surpassed last year's festive sales. Redseer estimates the GMV of the first two days to have crossed $1.5 billion, while other analysts believe it is something between $1 billion and $1.5 billion, as mentioned in a report in The Economic Times. Flipkart continues to lead the race, while Amazon is closing the gap fast. Smrithi Ravichandran, Senior Director at Flipkart said that the company sold 1 million mobile phones in an hour and crossed 3 million in a day, making it the highest number of smartphones sold in a day by a single retailer in India. Ravichandran also claimed that the Flipkart app has one million users on it at any given point during the sale. She added that one of the three shoppers was a Plus member - Flipkart's membership programme that they launched to take on Amazon Prime. Flipkart Big Billion Days' sale of 1 million smartphones in an hour fetched the company Rs 1,000 crore. The company has already made Rs 4,300 crore, which was last year's total sales number, in the first two days. Amazon India said that sales have gone up by three times as compared to the same period last year and that they were "significantly ahead" of their plans. The American e-commerce giant also claimed that it sold three out of every four phones sold in the country on Wednesday and has been able to keep up the trend since. Amazon further added that the Great Indian Festival Sale sold one million devices of Chinese company Xiaomi in the first 24 hours, while OnePlus saw more than 4,00,000 orders on its platform. As evinced from both their data, smartphones continue to be the highest-sold item. Fashion and large appliances too have had their fair share of customers. Around $170 million of large appliances and $120 million of fashion items have been sold till now. 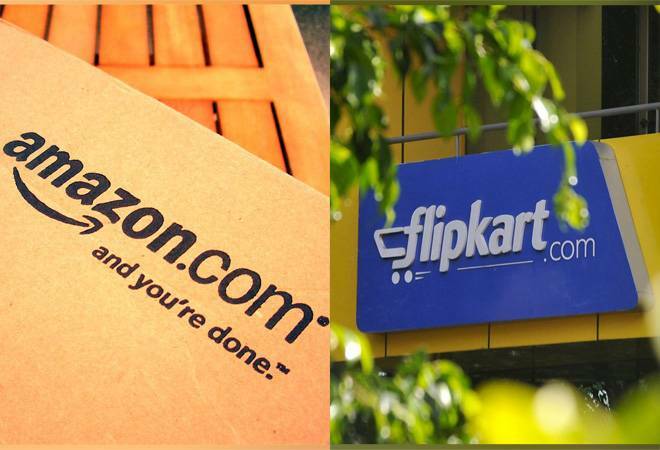 Both Amazon and Flipkart said that they added more customers during the initial days of the sale than they did last year in the same period. A huge amount of shoppers from tier 2 cities and beyond have joined in this year. Paytm Mall has also seen 50 million visitors during this year's festive sales so far. Amit Agarwal, country head of Amazon India said that on a normal day they get customers from both urban and semi-urban areas but almost 80% of this year's customers have come from lower tier cities. A Snapdeal spokesperson also reiterated Agarwal and said that two out of three buyers on their platform came from non-metro cities, as mentioned in the daily.